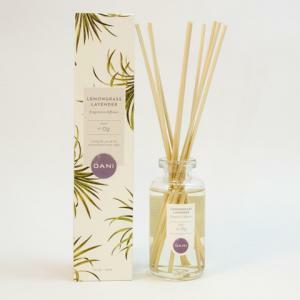 From DANI's newest line of Natural Fragrance Diffusers. A unique flame-free way to freshen up any room. Just uncork the beautiful glass container and let the natural reeds soak up the essential oil blends...the fresh fragrance will evaporate slowly into the air. The oil will continue to wick up the reeds and scent your room for several months. Choose from many great fragrances below! Relax, enjoy, and experience it!